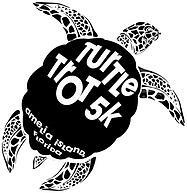 Doug Stuber Memorial Turtle Trot 5K and 1 Mile Kids Run: Doug was a major contributor to the preservation of sea turtles and worked hard for the Amelia Island Sea Turtle Watch organization to bring awareness to the public. 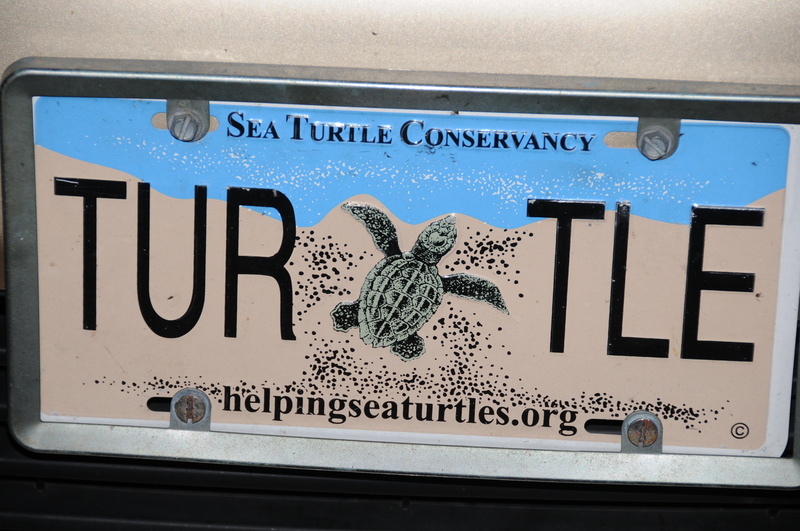 We run in honor of him and all who work so hard to protect our beaches and preserve the turtles who nest on them each year. All Beach Route on Amelia Island! Kids run starts at 8:30, parents free to join them. 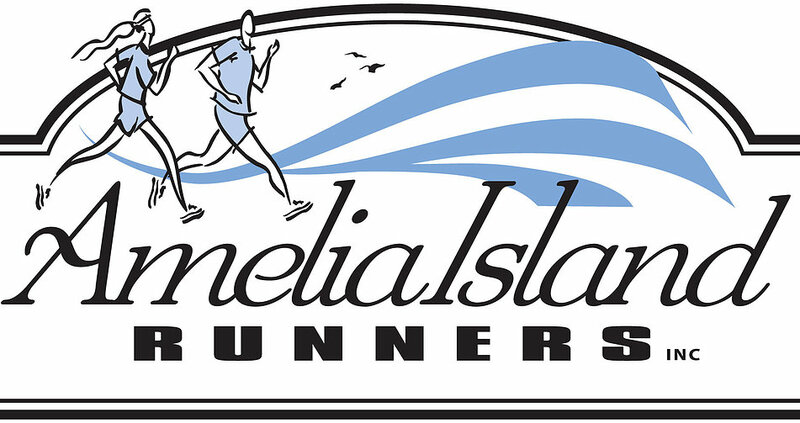 5K Awards- Male & Female: Overall, Masters (40+) Three Deep age group awards will be beach towel for 1st & coffee mug for 2nd & 3rd: Under 9, 10-14, 15-19, 20-24, 25-29, 30-34, 35-39, 40-44, 45-49, 50-54, 55-59, 60-64, 65-69, 70-74, 75+. 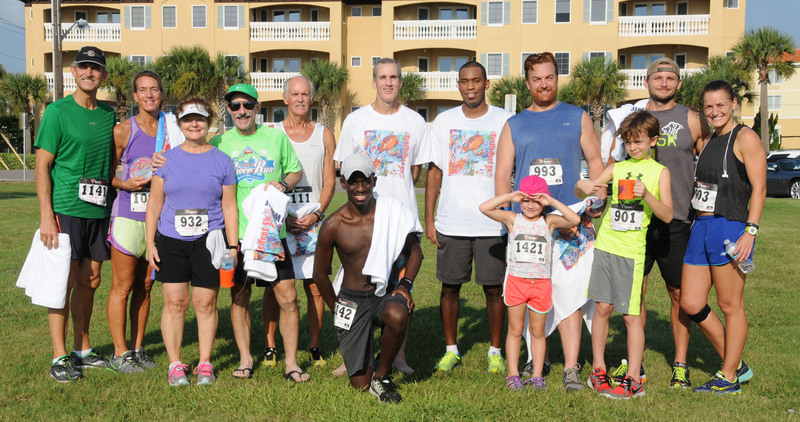 Performance T-Shirts with Artwork by Sandra Baker-Hinton; guaranteed to all PRE-REGISTERED 5K Runners! 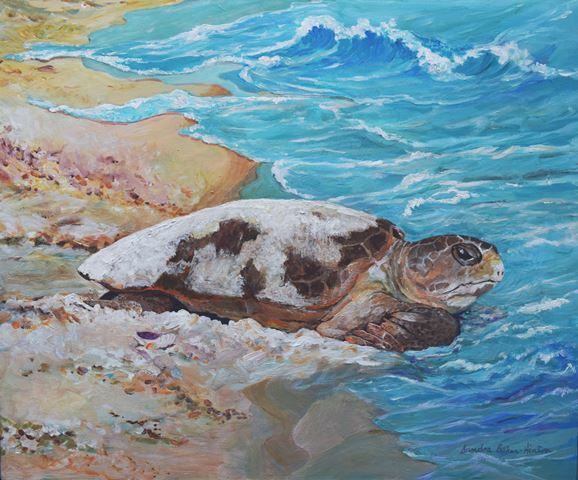 All 5K finishers will receive a bottle opener with sea turtle artwork from Sandra Baker-Hinton. Sorry, there are no refunds. Please know that all proceeds Benefit AI Sea Turtle Watch and Amelia Island Runners Club. 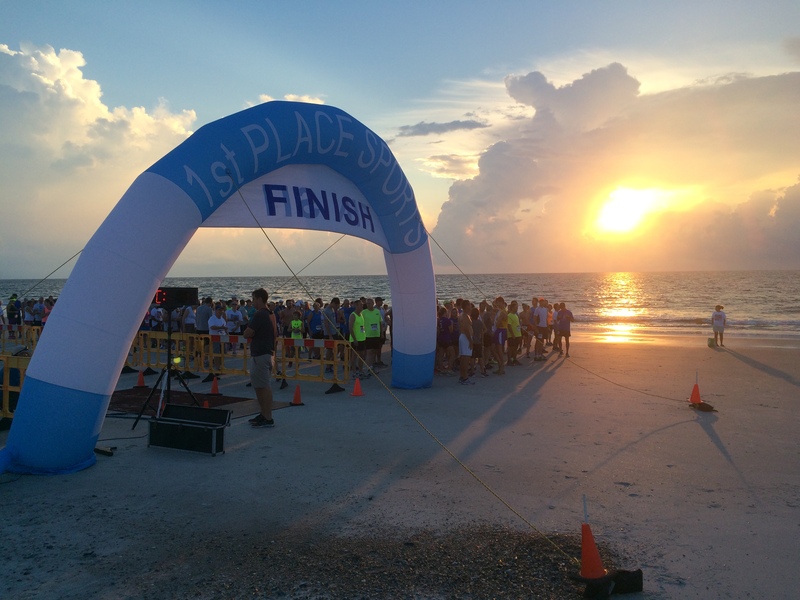 The race starts and ends on the beach just south of Main Beach at 7:30 a.m. with an out-and-back course, going south at the start during low-tide. Water will be available at the 1 & 2.1 mile mark (same location). Walkers are Welcomed! 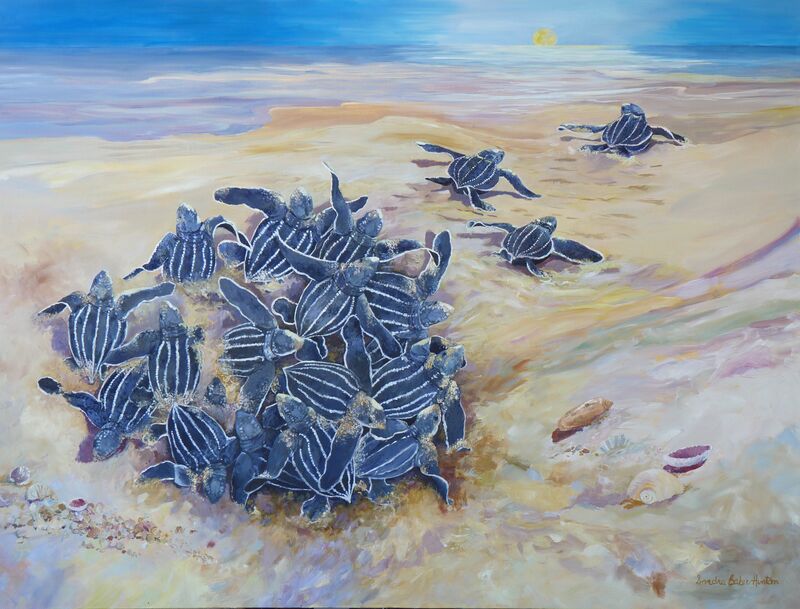 Please don't run/walk on the sand dunes; enjoy viewing the sea turtle nests along the route, but please don't disturb them. 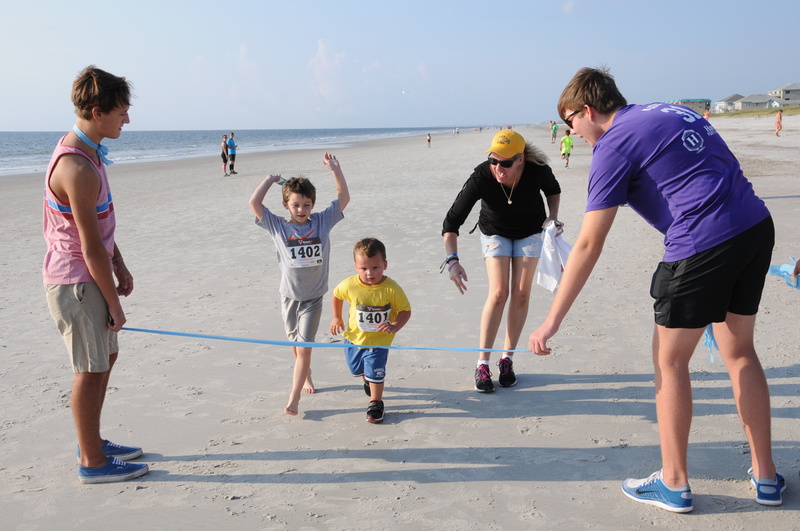 Kids run starts at 8:30 and adults are welcome to run with them; kids are the only participants who need to register.